Testing is the method or process to ensure and verifying existing materials quality. It is a particular process to diagnosis the features of a product or service by implementing proven standard. It has to be done by using some recognized parameters to get optimum results. Nowadays several kinds of testing are essential before launching a product to market to ensure its quality and longevity. There are many competitors exist in the market to grab your region. Thus manufactures don’t wish to take the risk of any hassles after sales onward because it’s related upon their goodwill. In the context of garment business, testing means to get an optimum quality of a product which can fulfill buyers satisfactions as well as user’s demands. Quality is the key point to increase the sale volume of any organizations and it also ensures customers satisfaction. If someone wishes to longer his business generation to generation and deserve good margin then he should maintain a quality standard of his products. In the present context of apparel business quality standards mostly depend upon modern technology to ensure a level of quality which can be used as a standard when comparing other things by the users and buyers. The main aspect to do lab test before launching a product to make sure good quality, promote repeat sales as well as product safety and prevent recalls, minimize customer complaints. Apparel testing was first inaugurated by AATCC (American Association for Textile Chemists and Colorists) in 1921. March 31, 1940 – fashion industry of New York has made awareness among fashion merchandisers to do initial testing of apparel and accessories before launching products in local stores. June 17, 1951 – Chicago Reliance Manufacturing Company has established a complete textile testing laboratory in the USA to make sure product quality. 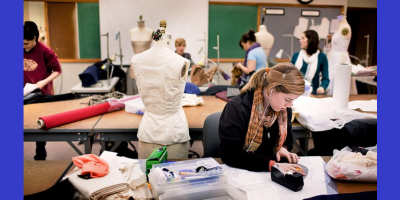 April 12, 1955 – New York’s Fashion Institute of Technology was launched to implement improvise techniques in fabricating textiles into apparels. 1973 – Texanlab was started to make sure product quality which is now one of the largest independent textile testing institutes in Asia-pacific region. October 1, 2003 – The American Society for Testing and Materials has organized ASTM F739 as a standard test method for ensuring permeation resistance. 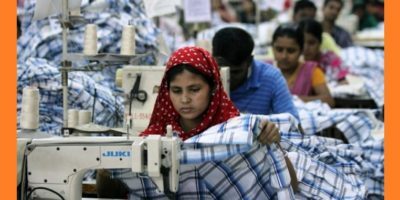 In June 2000, renowned lab test service providers Bureau Verities and MTL have extended their apparel testing service in Bangladesh. In January 2002, MTL and ACTS Testing Labs, Inc. merged into one entity to provide better service of their customers. 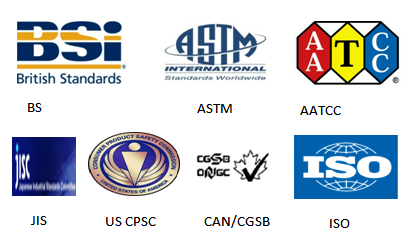 Several globally recognized renowned testing service providers are available to do the following test. Before testing you should ask buyer if they have any nominated laboratory because each buyer has a particular dependable testing service provider. Usually, buyer fixes the testing service provider to make sure their products quality. Thus you can’t go anywhere to do lab test as your wish. You have to fulfill buyer’s requirements during testing. Shearing strength of hooks & loops fastener. Peeling strength of hooks & loops fastener. Security of metallic buttons, rivets etc. Here I have tried to compile some necessary tests which are known as common in the apparel industry. Beside this sometimes some uncommon tests have to do base on the specific demand of buyers. Test fees may vary from one provider to another provider. All of the related information has picked up from following sites.